What is a Shaker Bed? Shaker beds are traditional bed frames with a minimalist design. They are usually crafted from light woods such as cherry, maple or pine. The bed frames are then stained or painted in traditional Shaker colours. Originally designed by the United Society of Believers in Christ's Second Appearing - more commonly known as Shakers - Shaker furniture has been around since the late eighteenth century. Shaker beds share many similarities with modern country style beds: both feature a simple wooden design with clean lines. Classic Shaker bed frames feature a single panel headboard with square or round legs, that are often tapered. Modern designs follow the same rule, with a slightly more stylish slatted headboard. Shakers crafted various items of furniture on a large scale, such as dining tables and chests, to fit with their communal lifestyle. Although large, these items were often lightweight and easily portable to make cleaning up easier. Elements of Shaker furniture appear decorative, but everything was crafted with structural functionality in mind. The type of Shaker furniture available is endless! The pieces below are the most famous of the Shaker designs. When it comes to modern-day Shaker beds, design isn't as limited as it used to be. 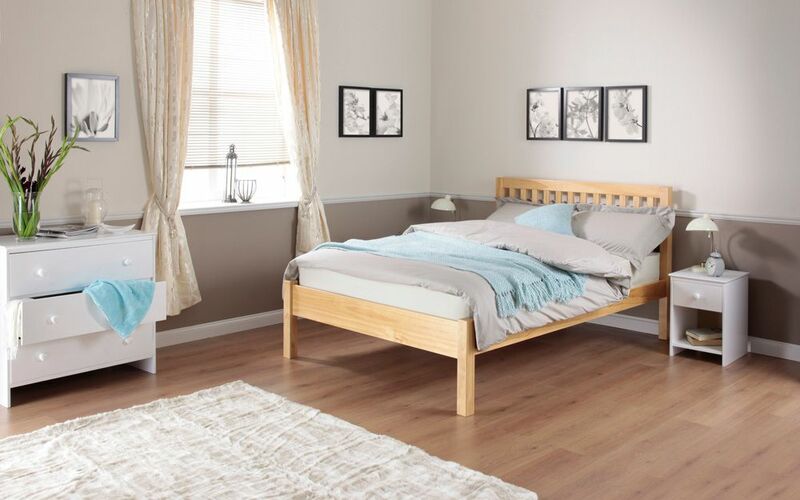 We have a fantastic collection of wooden bed frames in the Shaker bed style. Shaker beds are often built with a sprung or solid slatted bases. These two bases offer a different sleeping experience. These slats are slightly curved, and offer a more comfortable base that responds to your movements. These slats are fixed within the bed frame and offer a firmer feel for a supportive night's sleep. 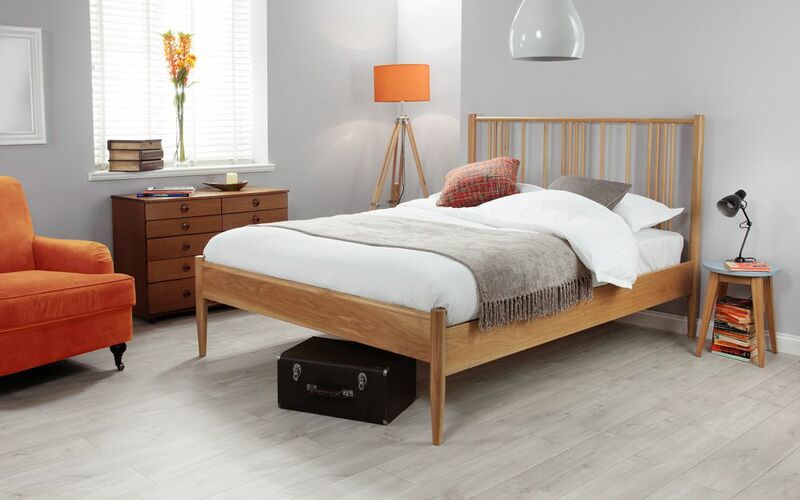 Our most popular Shaker style bed frame is the Silentnight Hamilton Solid Oak Bed Frame. A simple yet elegant design, this bed frame showcases the core Shaker design of functionality. 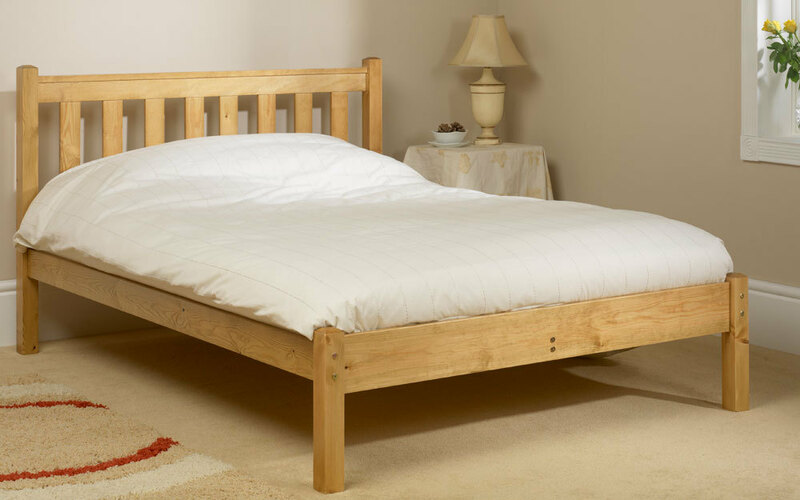 If you are looking for something a bit more traditional, the Friendship Mill Shaker Wooden Bed Frame is the answer. It's crafted with antique pine in a traditionally simplistic design. The most famous piece of Shaker furniture! Shaker chairs are made for a specific purpose. The three most famous designs are listed below. Lightweight and easy to slide underneath tables to reduce clutter. Shakers were the first to use and produce these chairs on a large scale. The solution to tilting back on your chair - unique ball-and-docket feet remain on the floor while you tilt backwards. Keeping houses clean and clutter-free was key for the Shaker lifestyle. Everything was put away or hung on wall pegs to keep the floors empty and rooms spacious. To achieve this, Shakers crafted various pieces of furniture for all of their storage needs. These boxes were used for everything, from clothing in bedrooms to flour in the pantry. These are made with the famous 'mushroom', button-like drawer knobs. Often featured across the whole wall, these wardrobes created enough storage for the Shakers' communal lifestyle. The Shakers emigrated to New York from England in 1774, to build a self-sufficient community. This religious sect believed in hard work and constant prayer; growing their own food and building houses. At its height, this religious movement had 6,000 members and 19 different villages spread throughout the country - the largest community resided in New Lebanon, New York. While the Shaker movement may have declined, the demand for Shaker furniture has only increased over time.